What’s the deal with Dion? Well, the New England Patriots’ leading rusher of 2017 could possibly hit free agency on March 14. And it is currently being reported by CBS Sports that the Indianapolis Colts and New York Jets are among nine different teams that have expressed interest in the veteran running back. Lewis recorded a team-high 896 yards (5.0 yards per carry) and career-best nine touchdowns this past season. 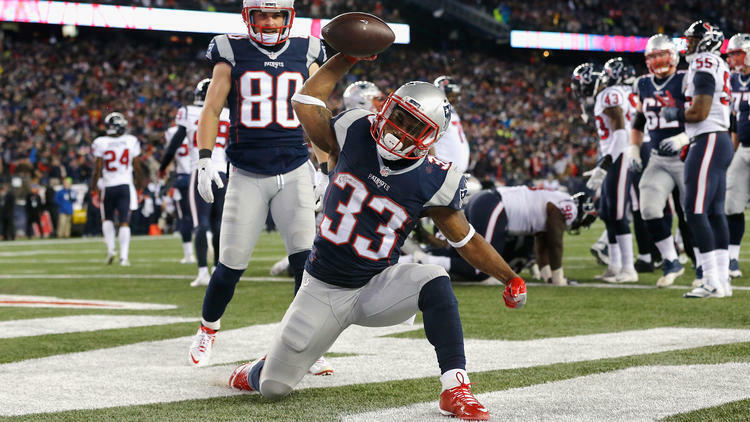 The Patriots reportedly have high interest in extending Lewis and could still re-sign him prior to March 14, but league-wide attention for the running back could make this situation a bit more interesting. It is also said that Lewis and company are looking to land a contract of about $6.5 million per season, which is a big jump from his 2017 base salary of $1.2 million.